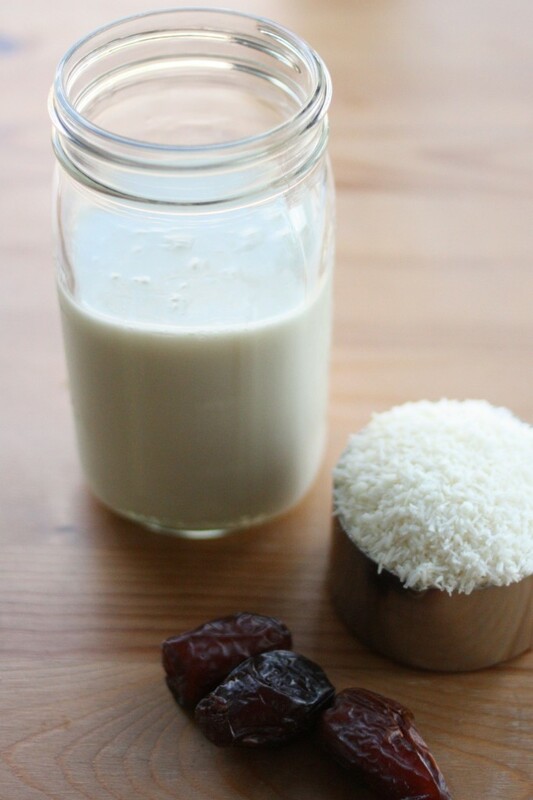 Quick, Easy and Delicious Homemade Coconut Milk. Bonus Recipe for Raw, Vegan Coconut Biscotti. I wasn’t planning on this recipe. It happened by accident, because I’d run out of almonds and cashews and Brazil nuts and basically all of the other nuts and seeds I usually use to make homemade plant milk. (Note to self: it’s time for a visit to the bulk bins.) 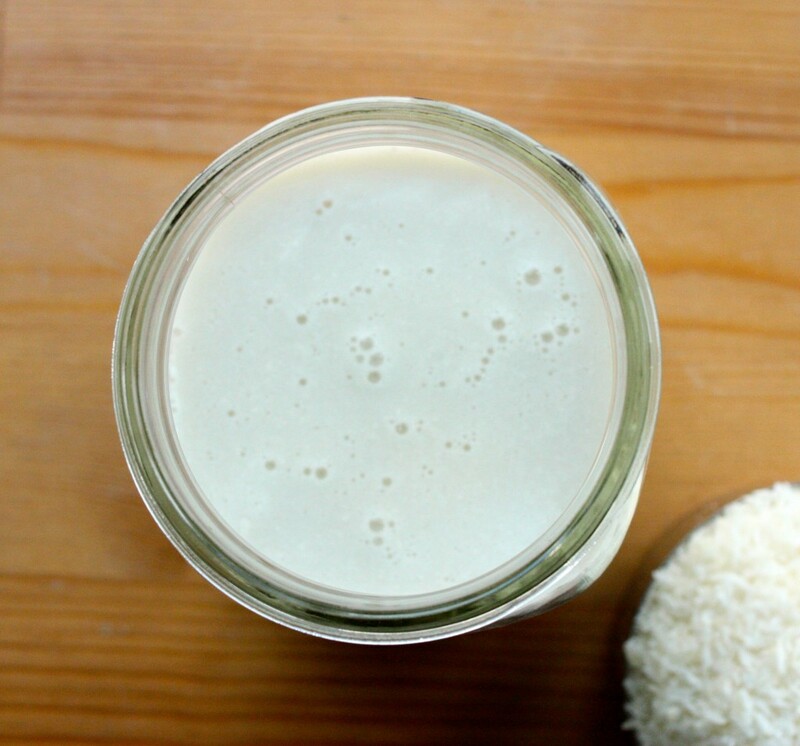 I’ve used shredded coconut to make homemade coconut butter before, and I got to thinking: what if making homemade coconut milk with shredded coconut is just as easy? As it turns out, it is every bit as easy, and it’s also absolutely delicious. If you’ve got a powerful blender, you can whip up your own coconut milk in no time, and you may actually find that it’s easier than making almond milk because you don’t have to pre-soak anything. My typical formula for homemade almond milk is 4 cups water : 1 cup soaked raw almonds. Since coconut is fluffier and a bit less dense than almonds, I used a ratio of 4 cups water : 1 1/2 cups shredded, unsweetened coconut. It was perfect. 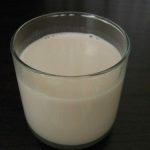 If you wanted a creamier milk, you could certainly use 2 cups (I may try that next time) or skip the straining step. I don’t always strain cashew milk, but otherwise, I prefer straining homemade nut milks — I just find it to be a nicer texture. One thing I noticed as I was making this recipe and wanted to point out is that it actually took a while for things to blend up as creamily and completely as I wanted. Shredded coconut is pretty firm to begin with, and the very fine texture actually makes blending a little harder. I’m not totally sure a regular blender would work — if you do use one, be sure to blend for a good long time. You could also try soaking the coconut first (though that’s not necessary for a high speed blender). I sweetened this recipe with four pitted dates, sea salt and vanilla. You could of course use stevia, agave, maple syrup, or no sweetener at all. The coconut adds a lot of great flavor on its own. 1. Add all ingredients to a high speed blender. Begin blending on low speed, then switch to high speed. Blend for at least two minutes, or until the milk is very creamy and you no longer see pieces of shredded coconut. 2. Affix cheesecloth, a nut milk bag, or a paint bag over the mouth of a large jar or container with a rubber band. Pour the coconut milk through to strain it, collecting the pulp. 3. Keep the coconut milk in the fridge. It will last four days at least. Makes 3½ - 4 cups. Of course, after I made the coconut milk, I was left with coconut pulp. Though I would imagine that this would be absolutely spectacular in place of almond pulp in the almond and pumpkin breakfast porridge I recently shared, I wanted to try something new, so I went with biscotti. 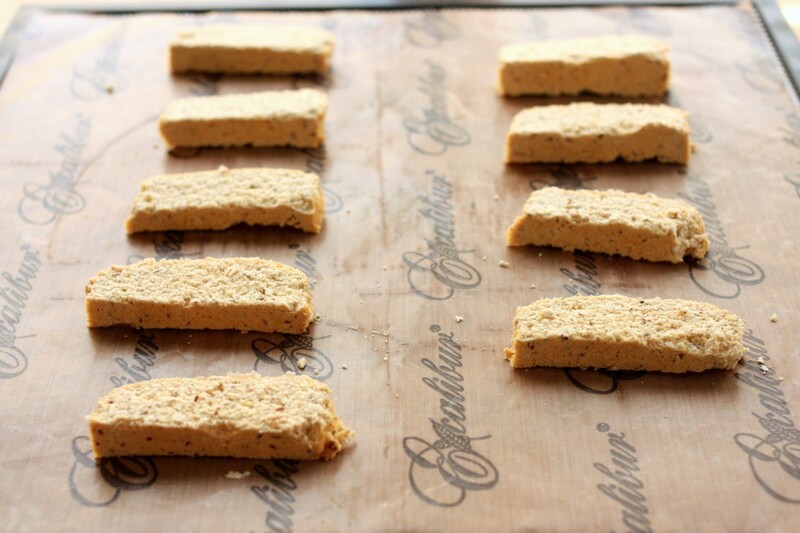 Tasty, crunchy, raw vegan biscotti! Here’s how I made them. 1. Place the almonds in a food processor fitted with the S blade and grind well (not so well that they start turning into nut butter, but you want them to resemble flour). Alternately, you can use ¼ cup almond flour. 2. Add the coconut pulp, vanilla, flax, sweetener, and coconut or almond milk. Process until the mixture is totally incorporated and resembles a thick dough. If it's super sticky, add a little more coconut or almond milk. 3. Turn the dough out onto a Teflex-lined dehydrator sheet and shape into a mini loaf. Dehydrate at 115 degrees for 3 hours. If you’re wondering if you can make these with regular almond pulp, the answer is yes! Any pulp from any nut or seed milk will do. Unfortunately, I’m not sure how these would turn out in the oven, so I don’t want to give an oven option and risk any readers having poor results. If you don’t have a dehydrator, I really recommend the “porridge” idea — it’s a new favorite breakfast in my home. 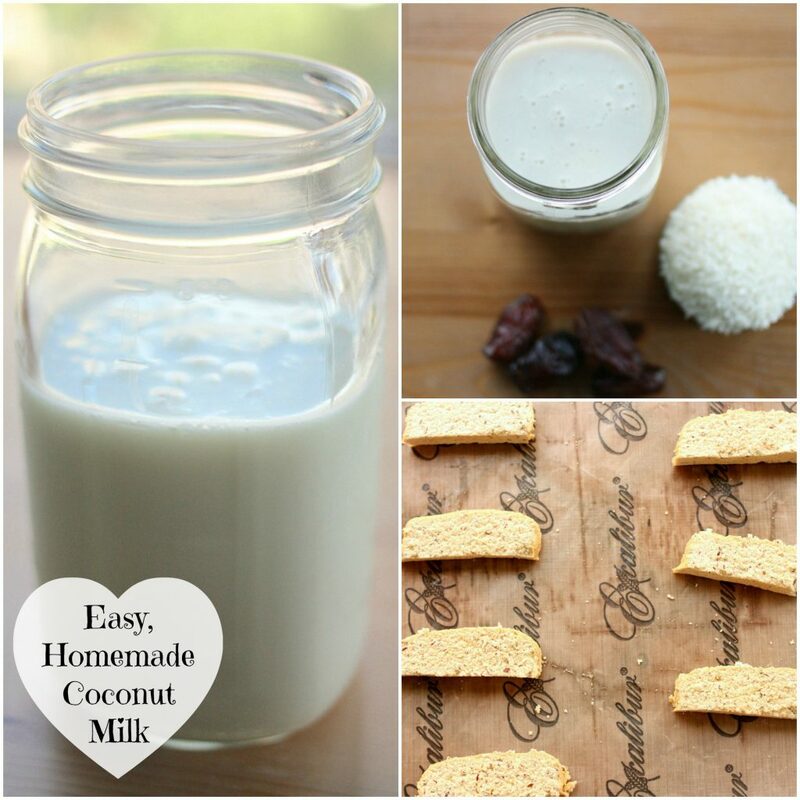 Whether you make the biscotti, I hope you give this coconut milk a try. It’s not quite thick and creamy and rich the way canned coconut milk is; its texture resembles boxed coconut milk more closely. But the taste of coconut is definitely there, as well as some of the richness you’d expect from this recipe. I can’t wait to make it again (and maybe put some in my coffee!). 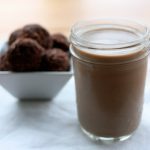 Chocolate Maca Almond Milk. Bonus Recipe for Chocolate Maca Macaroons. This looks wonderful! I’m going to be doing the biscotti too! I just sat down on the couch to do a little reading but…I’m starting to think having these biscotti cookies in my kiddos lunch this week would be a nice surprise for them! Yum! I am definitely going to try the coconut milk. 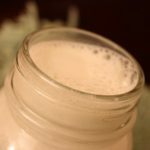 My kids have tree nut allergies, so I have never been able to make nut milks. I was just about to go into debt and try to make hemp milk (hemp seeds are so expensive!). But now I will try this instead. I’m excited! Thank you Gena! Oh, that’s great, Lisa! I’m happy this is a family-friendly option for you. Oooh, I’ve never tried making raw biscotti before. What a great idea! Gena, this is just lovely! I just adore homemade coconut anything- especially the shreds the most. I love using coconut flour as well, but the shreds are just so lovely and smell amazing! I love how you use your leftover pulp in so many ingredients too. I find that very sustainable and enjoy seeing how you use them. Thanks Heather! To me, using pulp is without a doubt one of the best parts of juicing and making nut milk. I’m so glad you shared this! 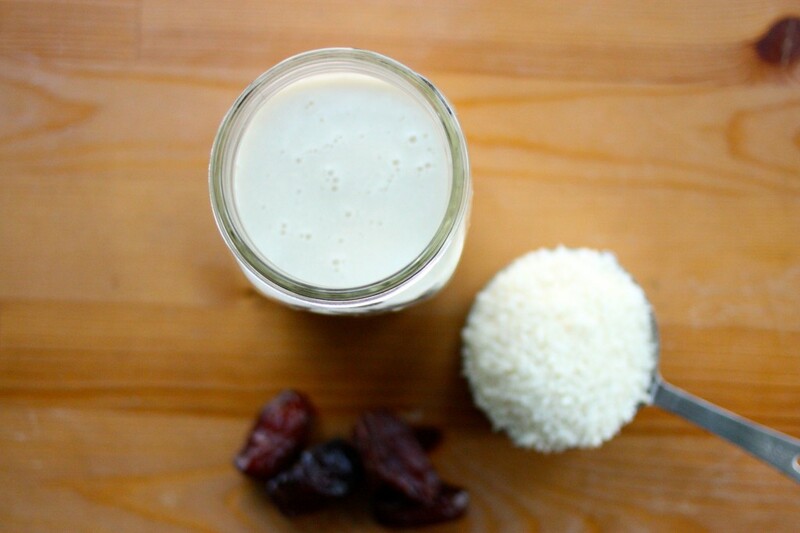 I normally buy coconut milk and worry about the extra ingredients, but this looks so easy! I will definitely give this a try 🙂 thank you!! Hi Gena, for those with a regular blender, the trick is to bring to a boil the coconut with water on low heat before mixing. To replace canned coconut milk (thicker), the ration is about 1 cup coconut with 2 cup water. With this ratio, you can actually take the pulp after the first straining operation, add more water and strain a second time to obtain lighter milk! Have a great day everyone! The coconut milk recipe is definitely serendipitous! I’ve never made biscotti or coconut milk before, and now I want to try to make both. Love all things coconut but haven’t made milk, no good reason. Thanks for the idea. Cracking up that there’s a capri sun ad on your site- go away ha. made coconut butter at home for the first time just a few days ago and was pretty pleased with the result. I’m excited to make this for both the milk and the pulp leftover! I bet I’d love it as porridge. Brilliant! I’ve never thought of making coconut milk because, like you mentioned, there are so many nuts and seeds in the regular rotation. This sounds delicious though! I can’t believe it never dawned on me before! I got some frozen shredded coconut in an Indian grocer which I’d all but forgotten about. I reckon that the fresh coconut might be a bit softer and I could make a version of this in a regular blender, otherwise I might try your soaking idea. Looks good and I must find a way to give it a try! I am going straight home after work today to make this! Thank you for sharing this recipe! Also thank you for being so honest about your story and how veganism has changed your life. 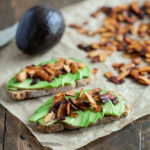 I am just starting my vegan journey and your site is an inspiration for me. Thanks so much, Ting. I’m happy you’re reading! Wonderful coconut recipe, thanks for sharing! Your blog posts are always great, cheers! My biscottis crumble when I cut them and the loaf is cracked after dehydrating. Should I add more liquid? Yes, add more liquid. So sorry it didn’t turn out right the first time. Hi Gena, I made this using a normal (I would even say below normal quality :P) blender. It worked out really well, I did soak the coconut for a few hours beforehand and blend for several minutes, but the result is delicious! My only complaint would be that when put in the fridge, the top solidifies completely. Great for making frosting, not so great for pouring on cereal. I needed coconut milk today for a recipe and realized I was out, so I gave this a try. It worked perfectly! I left out the vanilla, because I didn’t want that interfering with the coconut, but it was still delicious. Made some blueberry coconut almond cookies with the pulp. Thanks so much Gena! What is the recipe for blueberry coconut almond cooky? Sound good and interest. Ohh, boy! I just made these biscotti yesterday, into the over, on a temperature under 200 degree, I put them on an aluminum foil and cooked them all day long, but it worth! Are soooo good and delicious! And are my very first biscotti in my life! I’m delightful! Thanks! And the Coconut milk, is awesome, and soooo easy to make! I make my own every other day, because don’t want it to stay too long into the fridge. It’s incredible! So good and flavorful! 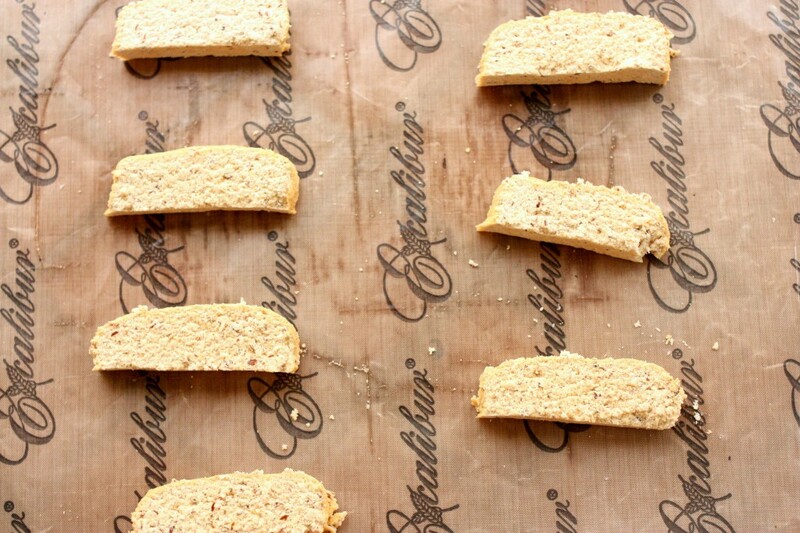 And the pulp, I put it into the freezer and when I gathered 2 cups, I make these delicious biscotti. Thanks again! These are the kind of ideas I wonder why I didn’t think of before.. simple and so exciting. I can’t wait to try this out. I’m not too sure about coconut milk in coffee but what the heck, I might try that as well. Could you tell me how you made coconut butter from fresh coconut please ? Most people say it is not possible, a few say grate and dry it for hours before blending. I was hoping there was a way of grating then blending and maybe heating slightly to separate the water and butter similar to how you make fresh coconut cream !? I will have to give these biscuits a go big fan of biscotti’s and they look delicious ! Thanks for the recipe. Yum! I make my coconut the same way. I also use fresh coconuts too. Just blend the coconut meat with coconut water and voila – fresh coconut milk. I made the coconut milk and really want to try the biscotti. The link to the recipe appears broken? Would you check your end and I’ll recheck mine on another computer and another browser? But now wondering how much calories is in one cup? Any idea pls? I do make coconut milk, but I don’t squeeze out the pulp. I don’t feel it is necessary. Is there any combination of coconut and liquid I could use to replace the 2 cups of pulp in the bicotti? Thank you for your help. Hi, made the coconutmilk twice this week for curries and just prepared the biscotti, but I am not sure it it will all stick together, the dough was more crumbly. 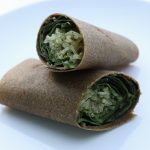 If I wanted to make this with dried coconut flour how much coconut flour and water would I need ?